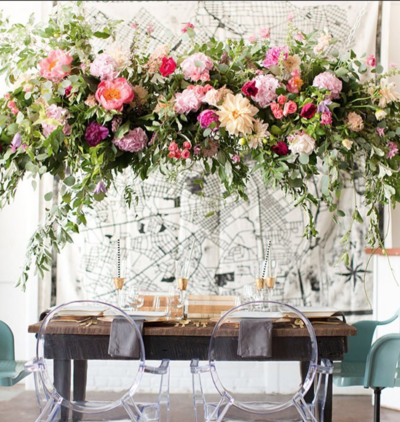 We are passionate about creating atmosphere with well designed floral installations. With an interior design & architecture background, it's a culmination of talents that help us to bring your wedding vision to life. We love designing for each unique couple, venue & style. If you're looking for a team to translate your vision to reality and you'd like to make new friends in the process, keep scrolling and send us a message, we'd love to hear more about your wedding day vision. From our very first email and phone call, she started by getting to know us and what we were envisioning for our wedding day, and she put her amazing artist skills to life! She is truly an amazing artist and so incredible at what she does. She is an out-of-the-box thinker and dreamer. 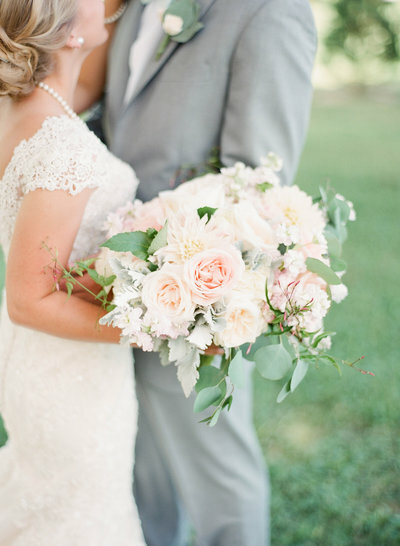 When she showed up with my florals on my big day, I couldn't believe my eyes. Amanda's aesthetic eye, her fun personality, and incredible hard work made our experience and wedding day absolutely unforgettable. Amanda! We love you!!! 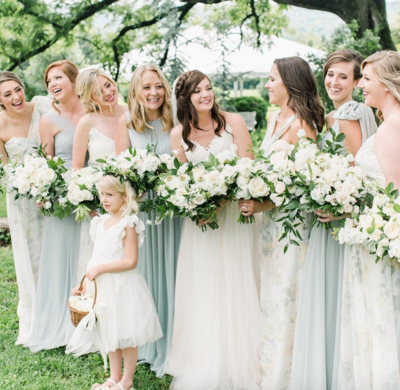 "Thank you for making our wedding day incredibly beautiful & more than I ever hoped or dreamed"
"She will put any bride at ease with her creativity and thinking on a whim!" 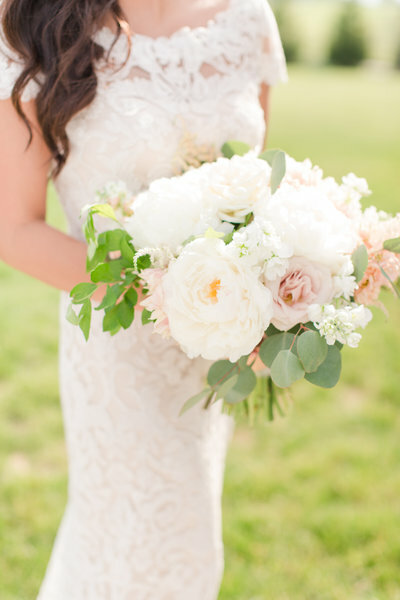 Having Amanda design the florals for our wedding day was one of the best decisions we made for our wedding, not only because of the beautiful pieces she designed but because she became a trusted confidant throughout the process. We opted for a palette I couldn't find anywhere, I gave Amanda my full trust. The arrangements were more than I envisioned! She goes above and beyond for her clients making sure that you are well taken care of throughout the process. 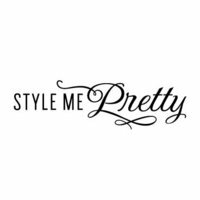 "She makes your experience enjoyable and stress-free; Amanda is hands-down a vendor you cant live without!" We ABSOLUTELY LOVED all of the arrangements on our wedding day. 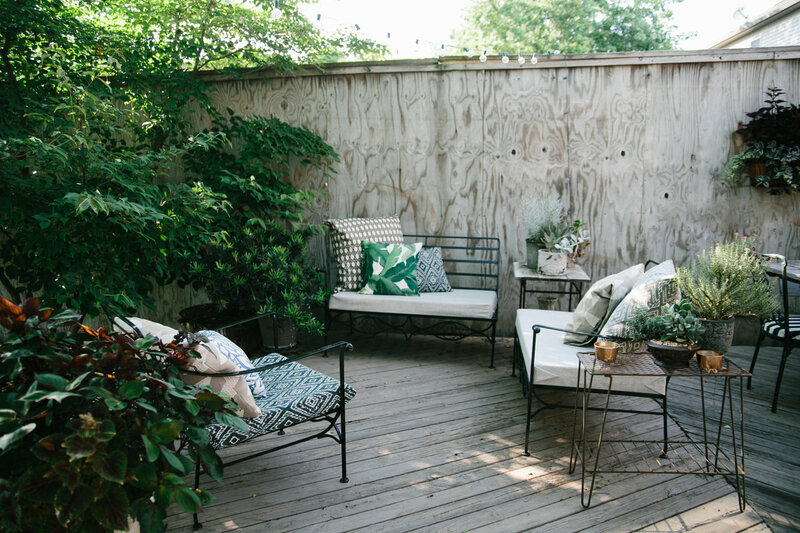 Everything was literally straight off of my Pinterest dream board. 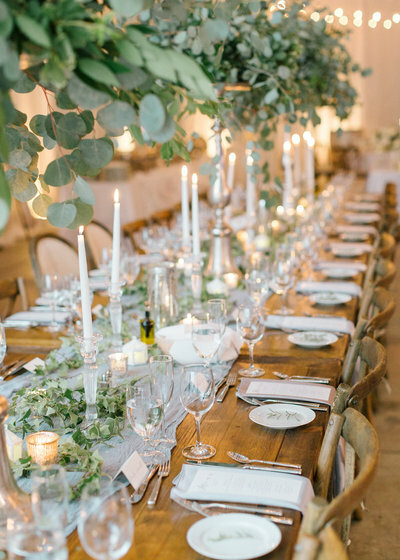 The arbor was stunning, the head table was the most beautiful thing I've ever seen! 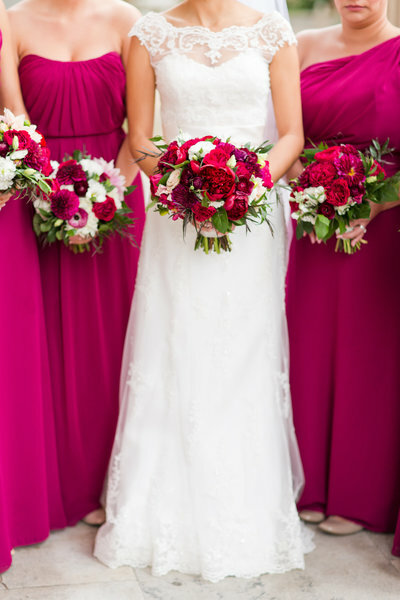 Oh, and of course the bouquets were perfect!! I really appreciated all the hand holding you provided throughout the planning process and the time you dedicated to making me feel secure about our plan. You are truly one of a kind and so talented and I just want to make sure you know how happy we were with your service and how much your special touch contributed to making our day so beautiful! 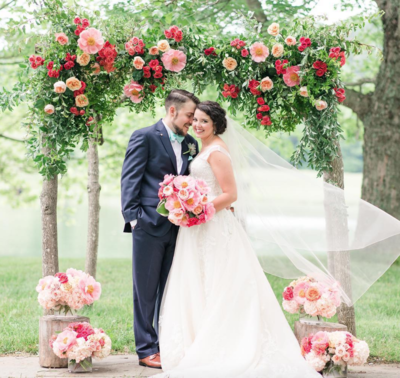 "our guests made a point to tell us how beautiful everything looked!" Can I just start by saying that Amanda is simply amazing! There are literally no words that do her justice! She is one of the most talented people I have ever met! Her talent and creative vision is just astounding. It was such a joy to work with her and get to know her throughout the process. She is so sweet, genuine, and passionate about what she does. 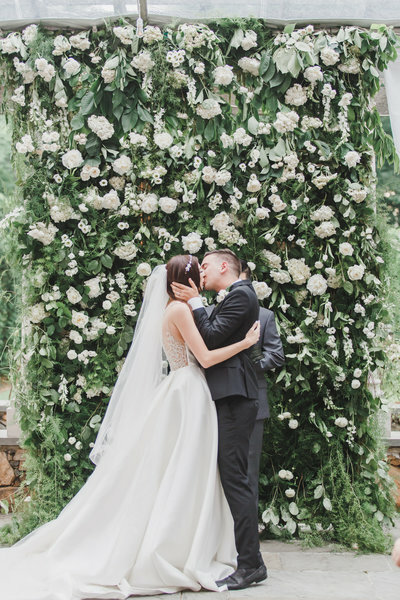 The florals were absolutely stunning and beyond anything I could have ever dreamed of. 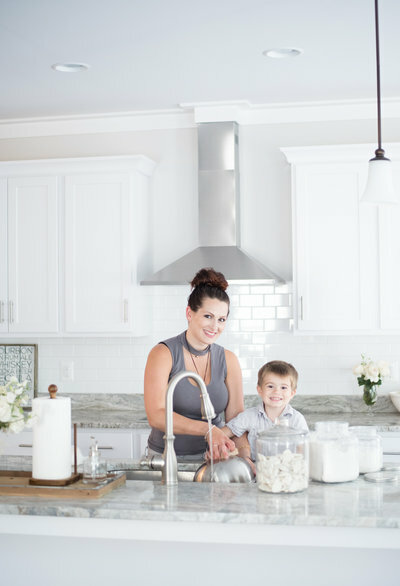 "I shared my ideas with Amanda and she just brought everything to life in ways that far exceeded my expectations." I cannot thank you enough for making our dream wedding come true! 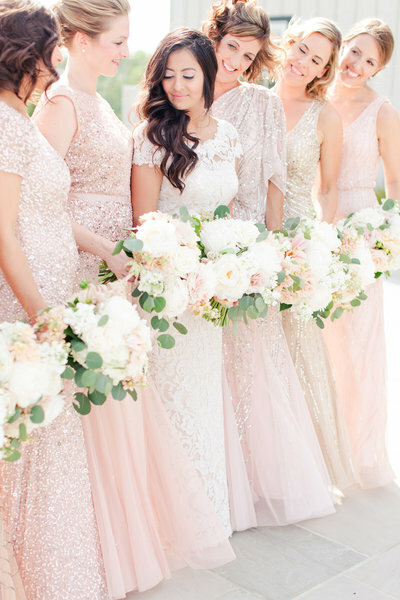 When I first saw the bouquets of the bridesmaids and mine I was shocked! I trusted your vision after all our conversations and was blown away to see it in "real life"! You executed it just right!!! Your attention to detail, genuine candor with the sweetest personality is only going to instill your brand in the industry as timeless! I cannot, along with Rodes and my parents, thank you enough for making my vision come to life! I'm forever grateful! Thank you so much, you helped to make our day the way it was!!!! I really can't thank you enough!!!! It was more than either one of us could have ever imagined. Oh my goodness we were so happy....you made it so perfect--beyond perfect! Cinderella's florist aint got nothin' on you! 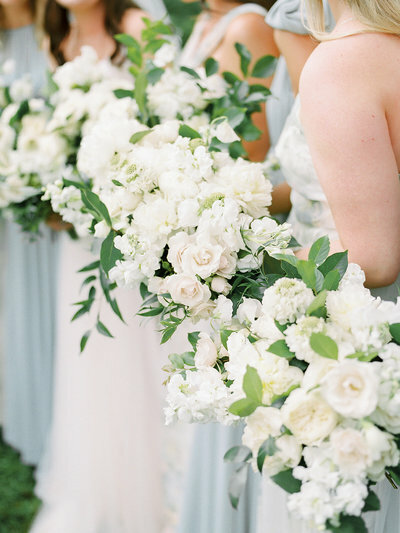 I could not have picked a more perfect person than Amanda to design the florals for my wedding. She dedicated herself to working through every little detail with me, to ensure that the vision I had for the most important day of my life exceeded my expectations. I trusted Amanda to use her skill and creativity freely and was brought to tears with the breathtaking the results. The way Amanda puts together different textures and colors from the flowers, foliage and display vessels creates a truly one of a kind masterpiece. My family and wedding guests will be forever talking about her memorable work! "She truly is an expert in her field. " I didn't have a very clear floral vision, Amanda did a wonderful job in giving me suggestions given the design elements of the rest of our wedding. 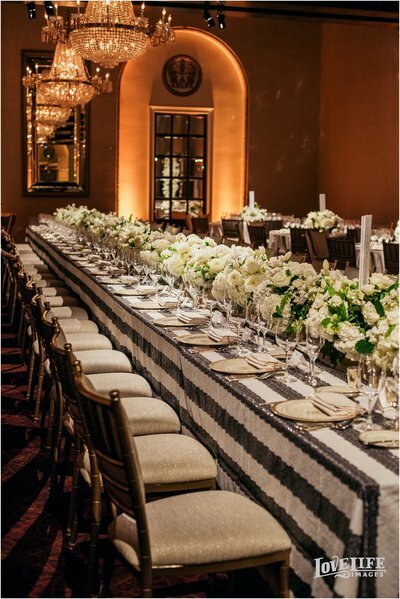 Our florals included two flower walls, and a 48-foot-long floral runner down our main table - it looked like a celebrity wedding! I knew it would look fabulous, but I wasn't prepared for how mind-blowing it would be! 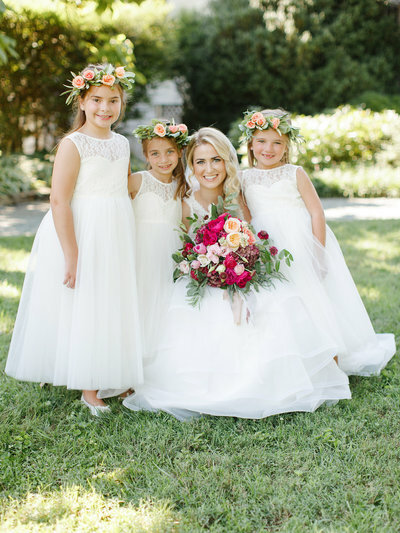 We wouldn't change a thing and we feel so lucky to have found Amanda - I have NEVER seen florals like hers! 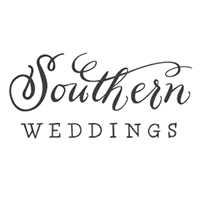 "My husband and I were so blown away by the finished product we were crying before the reception!" We believe that providing quality service and a customized, beautiful end product comes from getting to know each couple. 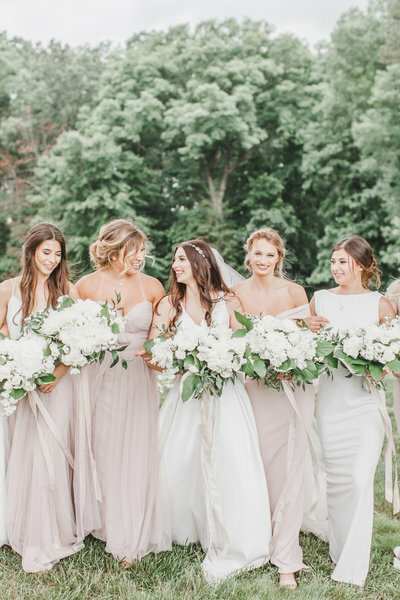 Relationships that we form throughout months of planning allow us to understand your wedding personality, which in turn helps us to perfect the floral selection & overall design plan. We have a passion for each personalized event. By getting to know each couple on a personal level, we're able to give our all to executing unique, heartfelt events, every time. I'm a lover of random adventures, trying new foods and braving new experiences that take me out of my comfort zone, where I can grow. I'm an adventure loving, homebody. I'm a single 'momma' to my four year old son. Our adventures include dancing on the couch, Chik-fil-A dates, and cooking dinners together. From a simple grilled cheese to a scratch Italian inspired meal, I love to cook & believe in the power of a meal to gather people while filling bellies and hearts. 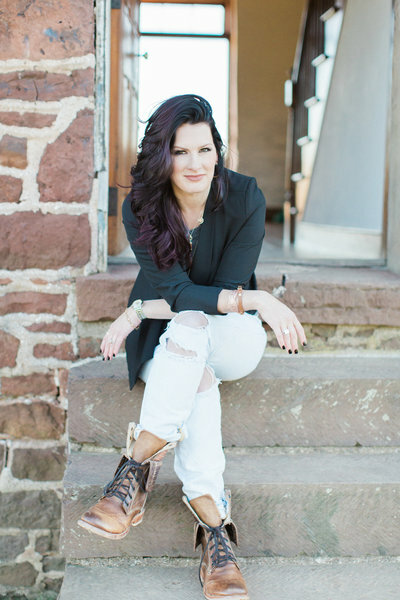 I graduated with a BFA of Interior Architecture from JMU and when an opportunity came about, I started my business, a retail flower shop, in my hometown in 2009. 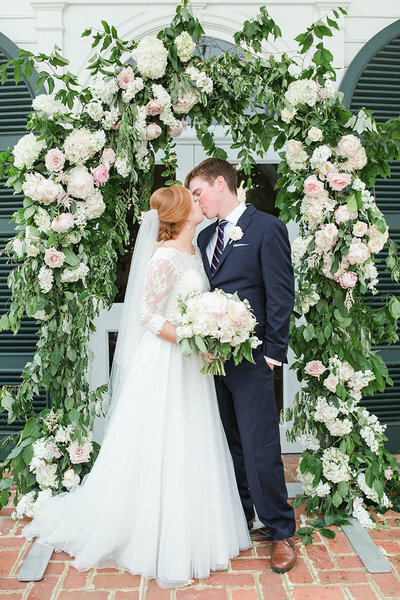 I've been in the floral industry for 17 years with a strict focus on weddings since 2012. 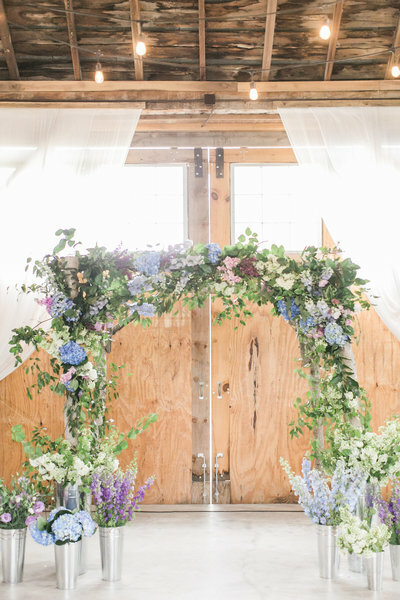 I lead multiple teams of fellow wedding flower lovers for our design & installations. 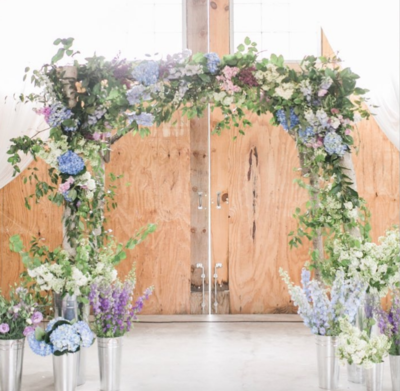 "Wedding floral design combines two of my great loves - spatial design & the art of flowers"
From rustic barns to hillside wineries, nautical yacht clubs to elegant private estates, we design weddings throughout central and northern Virginia every weekend of wedding season. We revel in the opportunity to create custom designs for each wedding. Relax on your wedding day while we take care of the design, installation, and placement of all the floral designs. We provide a hands-on design service from the first phone call to the time we hand you your bouquet on your wedding day. So, pour yourself a glass of champagne and let's get started!